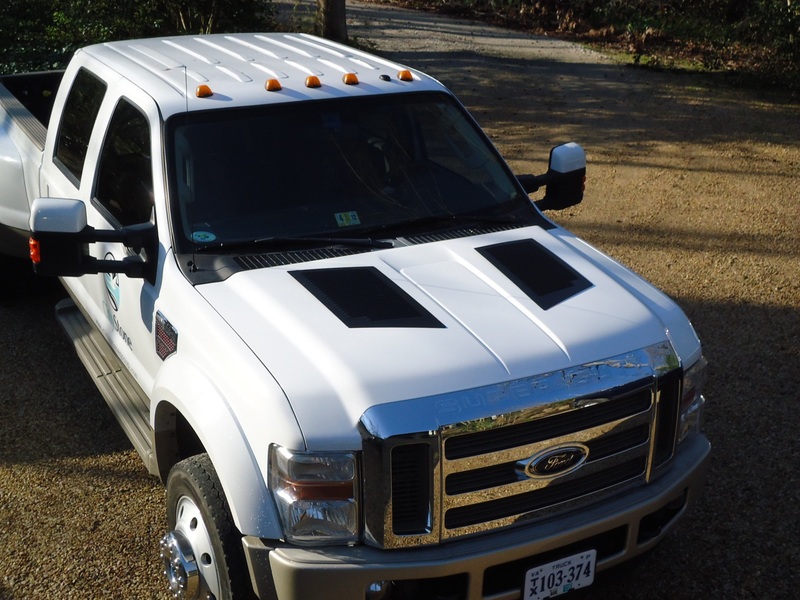 Yes, Heat Radiation is Your Truck’s BIGGEST CONTROLLABLE Expense! A hot-as-an-oven engine compartment (as all are!) 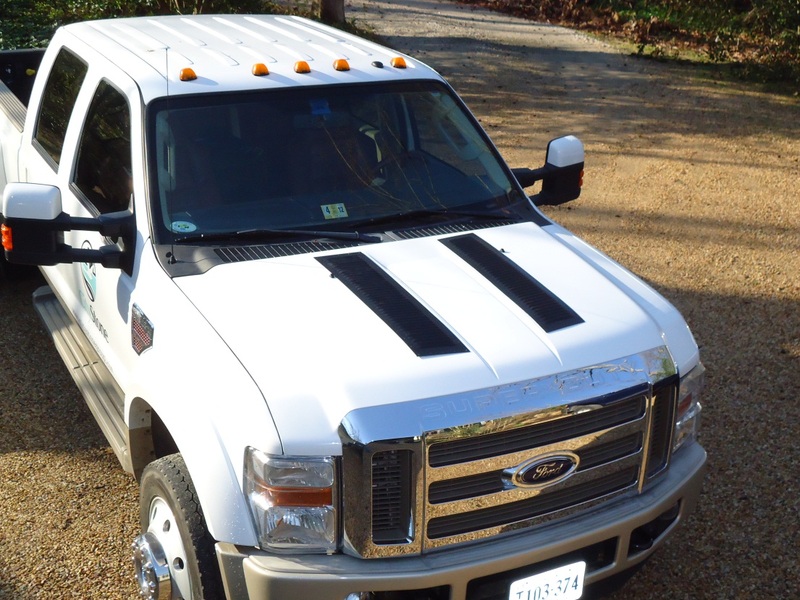 costs you – it is the Silent Killer and the Mortal Enemy of many aspects of your life in your truck – and you never knew it! And it all originates with your engine – because when your engine is hot, so is everything (including you) located within 14 feet of it! Your hot engine, even running at “normal” temperatures, radiates heat, through “heat soak”, into your intake manifold and F.I. intakes and intercoolers and turbos. Heard of how “Cold Air Intakes” help your performance and fuel mileage? Well, you’re just bringing cool air into a HOT intake – which heats it back up! The best way to cool down the intake is to cool down the under-hood temperature! In Police testing (yes, they want more power and better fuel mileage), it turns out that Hood Louvers lowered the intake temp by 47°! 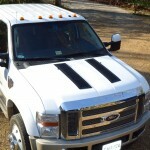 Engineers say that’s about a 10 horsepower increase for turbo diesels and about a 5 HP increase for Fuel Injected (F.I.) vehicles. We all know 1) Heat kills and 2) Heat is the Mortal Enemy of a) your engine, b) all lubricants, c) all electrical components (delicate relays, thin circuit boards, servo motors, your battery, etc. under the hood) d) all plastic and rubber components – as in your ABS system (under the hood) and e) YOU – especially on a hot day. It may not kill you – but it can kill your productivity. For many people, their truck is their “mobile office”. Who wants to fill out reports, read plans and blueprints, etc. 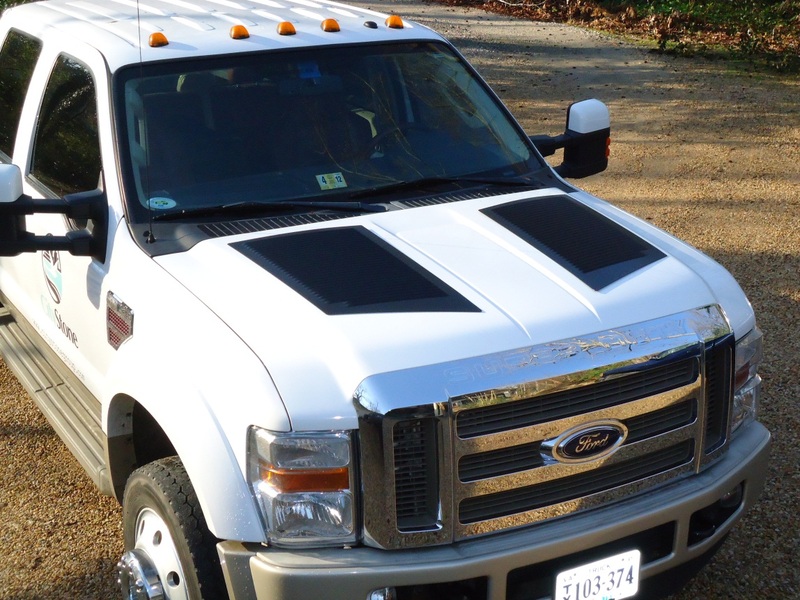 at the jobsite – in a HOT truck??!! Everyone complains about the heat, but what’s the best solution? Actually, the problem and solution first cropped up with the U.S. Border Patrol where they wanted to keep their Agents (and K-9’s) cool in their vehicles in the desert heat, where temp can exceed 125° in the sun! 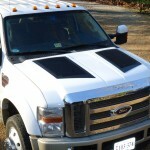 They desert-tested, and now use, RunCool Hood Louvers. 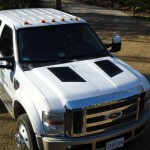 Now these “lessons learned” can be taken advantage of by truck owners, by ordering RunCool Hood Louvers! “My friend finally decided to drive his pickup (with your Hood Louvers) after the weather did not allow him to drive his beloved Indian bike). He swears that his mileage average went from 23mpg up to 26!!! His turbo diesel engine seems peppier. He needs to accelerate less to go beyond 100mph! Remember: the turbo sits RIGHT under the left louver! Enormous heat comes out under hot idle!!!!! He loves your louvers. Also the much cooler look.